Educators are being pulled in two different directions: We want every student to achieve high standards; at the same time, we also want all students to be prepared for their own individual paths. How can we possibly do both? 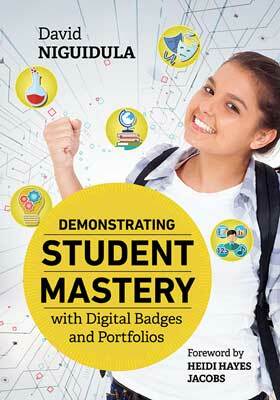 Digital badges offer an exciting strategy for bringing these initiatives together so that your school can work toward mastery-based teaching and personalize each student's learning. Badges offer an opportunity for students to demonstrate the skills and knowledge that fulfill state requirements and also to pursue their personal pathways and interests. David Niguidula is founder of Ideas Consulting, based in Providence, Rhode Island. He is best known for his work on digital portfolios in K–12 schools; in the 1990s, Niguidula led the first research project on the topic while at Brown University's Coalition of Essential Schools. Through his development of the Richer Picture platform, Niguidula has assisted schools and districts across the country and around the world as they create proficiency-based requirements and implement new assessment practices.